Business and community progress is the heart of the Northville Chamber of Commerce’s objectives. Through beneficial partnerships, the Chamber creates pertinent advantages for its growing membership of more than 400 companies and community organizations. The Chamber’s professional staff and volunteers continuously drive marketing, membership, operational and financial improvements based on 53 years of experience in serving Northville’s retail, manufacturing and service sectors. 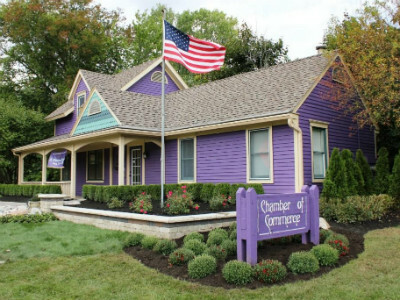 In nurturing community ties and business relationships, the Chamber encourages member and community aspirations, while maintaining the close-knit connections which make Northville a model place to live, work and play. “At Northville Public Schools we believe firmly that school and community partnerships are essential in ensuring the success of our young people in school, in their careers, and in life. Nowhere is this collaborative spirit more evident than with our school district, the Northville Educational Foundation, and the many local businesses and community organizations that comprise the Northville Chamber of Commerce. These business and nonprofit partnerships allow our students to expand their horizons, to see and experience the modern workplace, and explore The World of Possibilities that lie ahead for them. "At Masco, we believe a strong supportive presence in the community where we live, work and do business is vital. Being an active member of the Northville Chamber keeps us on top of important, ever-changing issues within our community and provides us with invaluable networking opportunities and up-to-date information on community development. Utilizing the Chamber’s guidance and wide range of resources, Masco is able to better understand the needs of our neighbors and meaningfully contribute to the well-being and growth of our community. Masco and the Northville Chamber have similar missions -- we both strive to drive community progress." "We are so grateful for our relationship with the Northville Chamber of Commerce. As a 501c3 charity, we rely on the financial support of our community to bring hope, healing, and new beginnings to adults and children grieving the death of a loved one. Through our membership, we’ve developed stronger and supportive relationships with community leaders and business owners. We have seen a significant increase in exposure since our Grand Opening Ribbon Cutting with the Northville Chamber in the summer of 2017, and they continue to help us connect with supporters and referral partners throughout the community. Jody and Lindsay do great work and we are proud to be members!"